1 Can you get this unit without it being pre-filled with R-410a? Answer Hello Brian,This unit can not be shipped dry charged.The units come pre-filled from the factory with the R410a.Please feel free to contact us at 888-474-9966 with any further questions. 2 GSX130361EB is this a self contained Central AC unit, without a heat pump? Can it be used for a mobile home?Thanks? 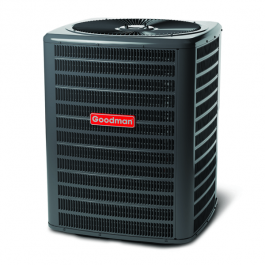 Answer Hello Robert.This unit is not a self contained a/c unit,this is an outside condenser only no heat pump.Please feel free to contact us at 888-474-9966 with any further questions. .